Change shortcut icon windows 7. When you setup software then you see a shortcut icon on your desktop. You can open and use it using this shortcut icon. 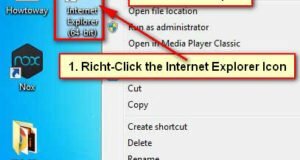 You can change shortcut icon windows 7. 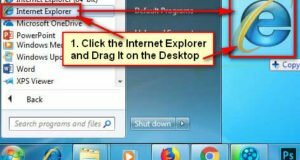 Learn how to change shortcut icons windows 7. 1.1 1. Open icon properties. 1.2 1. Open icon properties. 1.3 2. Open shortcut window. 1.4 2. Open shortcut window. Click mouse right button up to shortcut which icon are you want to change. You will see few options then click Properties button from lists. Google chrome properties dialog box will open. Click Change Icon button to see more icons. Change Icon dialog box will open. Choose an icon from icon lists. 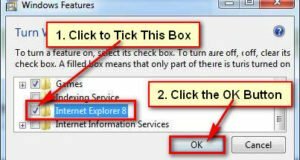 Click OK button on change icon dialog box. 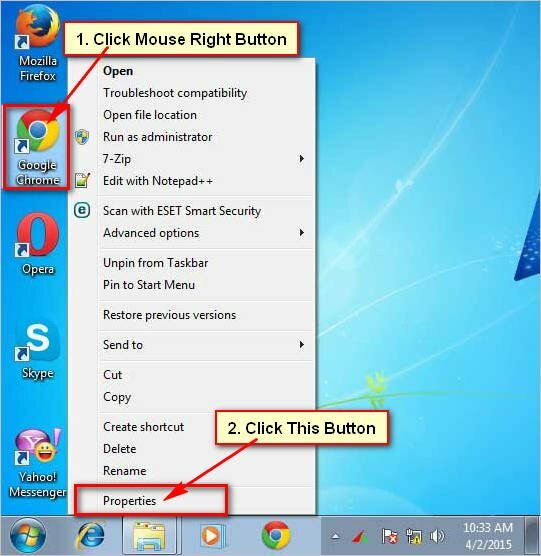 Click Apply and OK button on shortcut properties dialog box to change your selected shortcut icon on windows 7. After that you will see your recently changed shortcut icon will change. Using the same way you can change your any short icon on windows 7.